The internationalization of higher education is a complex, on-going process of institutional change which, among its principal aims, is the international, intercultural, and/or global education of students. Recognition of the value and complexities of this process has grown significantly over the last two decades, as evidenced by an increase in research and publications on internationalization, the growth of organizations and conferences devoted to internationalization, and the development of graduate programs with a focus on internationalization. Yet even as institutions of higher education increasingly seek to internationalize and do so by appointing an individual to lead and facilitate this work, there has been a lack of consensus on the qualifications such individuals need. As the only organization dedicated to international education leadership and Senior International Officers (SIOs), the individuals charged with leading the internationalization of higher education, the Association of International Education Administrators (AIEA) recognizes that internationalization will mean different things for different institutions, and take different forms. However, despite this diversity, SIOs and the institutions and organizations they lead will benefit from having a common set of standards of professional practice for SIOs and internationalization leaders. As such, these standards are specific to these internationalization leaders and therefore intentionally do not cover the more generic leadership/ management skills. The standards presented here should be understood as a living document, subject to change as understandings of the roles of SIOs evolve along with internationalization and higher education. It is hoped that the standards will help current SIOs identify gaps in practice they would like to fill; serve as a guide for aspiring SIOs as they gain the knowledge, skills and experience needed to become SIOs; and help institutions and organizations appointing SIOs to craft position descriptions, and conduct searches. It is important to acknowledge that no one leader is likely to fulfill completely all qualifications contained here. AIEA will use the standards to further support SIOs through the work of its committees; at its conferences, fora, academies and other gatherings; in publications; and in advocacy. A note on terminology: AIEA adopted the term SIO to describe individuals within an institution of higher education who are charged with leading and facilitating its internationalization efforts. 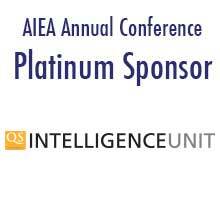 AIEA recognizes that many other terms may be used to reference these leaders, depending on the context and country (examples include International Relations Officer, International Relations Manager, International Liaison Officer, and so on.) The fact that the SIO terminology may not be in use at a specific institution or in a specific country should not diminish the usefulness of this document in outlining the qualifications and capabilities required of those leading the internationalization of higher education institutions. Understands comprehensive internationalization in higher education as an inclusive process that impacts the three principal aims of the academy: teaching, research and service. Recognizes the centrality of the curriculum and co-curriculum in preparing students for participation in an increasingly interconnected, diverse, and rapidly changing world. Understands how to advance global learning in the curriculum and co-curriculum in a collaborative manner. Has an appreciation for the risks associated with global engagement for the institution and its faculty, staff and students, and works closely with relevant others to minimize risk. Has an awareness and understanding of the laws that impact significant aspects of internationalization, such as student and faculty mobility, and works with legal counsel to ensure compliance with these laws in a manner consistent with the interest of the institution and its stakeholders. Has an understanding of how research on comprehensive internationalization can be used to advance the internationalization of an institution. Is able to provide vision, leadership and strategic planning for internationalization. Has the administrative ability and insight needed to manage the complex administrative functions associated with internationalization, including enlisting the support and actions of individuals and campus units across the institution. Understands how to facilitate the professional development of faculty and staff in support of internationalization. Is able to effectively and appropriately communicate the work of campus internationalization to internal and external stakeholders. Gathers and uses assessment data to strengthen internationalization, communicate successes and gaps, refine processes and practices, and strengthen student learning outcomes. Applies principles of equity and inclusion to all aspects of Internationalization, including the hiring and retention of diverse staff. Is able to effectively advocate for the institutionalization of internationalization within the context of an institution’s mission and values. Works collaboratively with local communities to engage them in the institution’s internationalization efforts. Recognizing the agency of students, actively enlists their knowledge, imaginations, and energy to advance internationalization. Recognizing that the faculty are the central agents for internationalization, works to create an institutional culture that recognizes and rewards faculty for their work in advancing internationalization. Is able to leverage networks to develop partnerships with individuals, institutions and organizations to advance campus internationalization. Understanding that governments, non-profit organizations, and the private sector help shape the environment for internationalization, is prepared to advocate for the importance of international education with these entities. Is able to be resourceful and entrepreneurial in securing the support, financial and otherwise, needed to advance internationalization. Possesses international experience, language learning experience, and intercultural knowledge to more effectively advance campus internationalization. Has strong empathic instincts, is a good listener and can effectively navigate the ambiguities arising from cross-cultural encounters, thereby modeling the attitudes and skills required for intercultural and international engagement. Recognizing that internationalization is advanced through the exchange of data, ideas, and practices among SIOs and educational associations, seeks to learn from and contribute to this exchange. Has a deep commitment to preserving high ethical standards in all internationalization efforts.